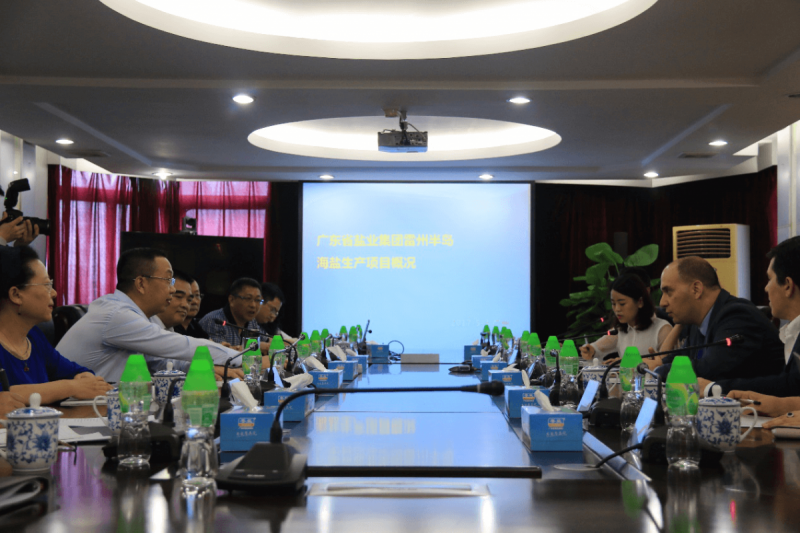 May 3, 2017, Mr. Nadav Cohen, the Consul General of the Israeli Consulate General in Guangzhou, as well as Ms. Gu Yuxuan, Economic Officer, together with the delegation of the Israel Commerce Union, visit Guangdong Salting Group. The two sides hold a seminar on the introduction of Israeli technology. Mr. Lv Yongzhong, the president of the Guangdong Salting Group and the director of Salt Affairs Bureau, presided over theseminar. In the lobby of Guangdong Salting Group, exhibiting a lot of salt products produced by the Company, and also included Israeli salt products. During the meeting, Mr. Lv, on behalf of all the Present Members in Chinese side, extended a warm welcome to Mr. Nadav Cohen and other Present Members in Israeli side. Deeply impressed by the warm hospitality of Guangdong Salting Group, Mr. Nadav initially registered his gratitude for the gracious invitation. Mr. Nadav also expressed that the successful holding of the seminar on salt production technology, owing to Israel Commerce Union’s outstanding contribution. 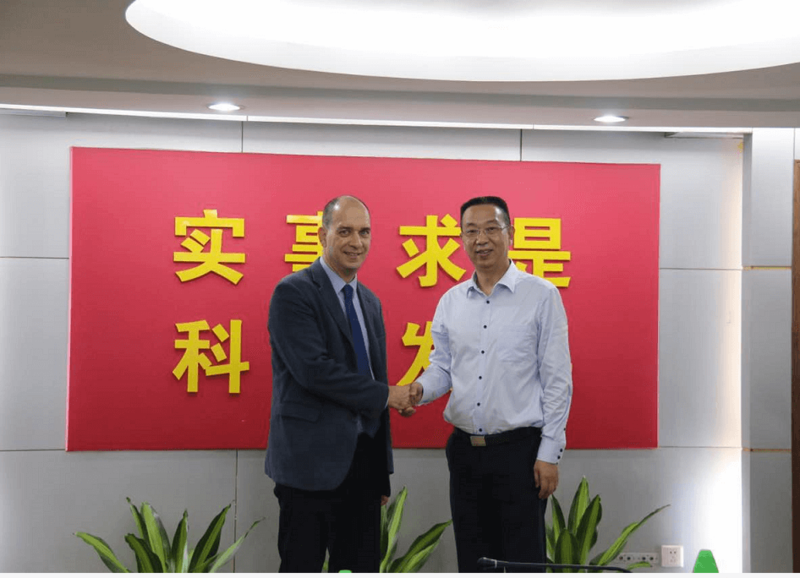 Israel Commerce Union plays a key role in connecting China and Israel, which making it possible to consummate the high-level official meeting in a timely manner with the highest efficiency and best quality. Mr. Lv firstly introduced Guangdong Salting Group at the beginning of this seminar. It is the salt monopoly company, which is supervised by State-owned Assets Supervision and Administration Commission in Guangdong Province, and it is also the largest provincial salt sales enterprises. Mr. Lv also introduced the background and location of the investment project. In its surrounding, the air quality is good, rich in anion, no industrial or living pollution. With excellent quality of sea water, it is the best place to produce high quality sea salt. He also proposed an idea of "Ocean characteristic town between china-Israel" while the both sides agreed that this is a correct direction to expand the latter part of the project. After hearing that, Mr. Nadav expressed that in the context of the distinctly friendly relationship between China and Israel, Israeli side is looking forward to proceeding further technical exchange with the Chinese side in salt industry. 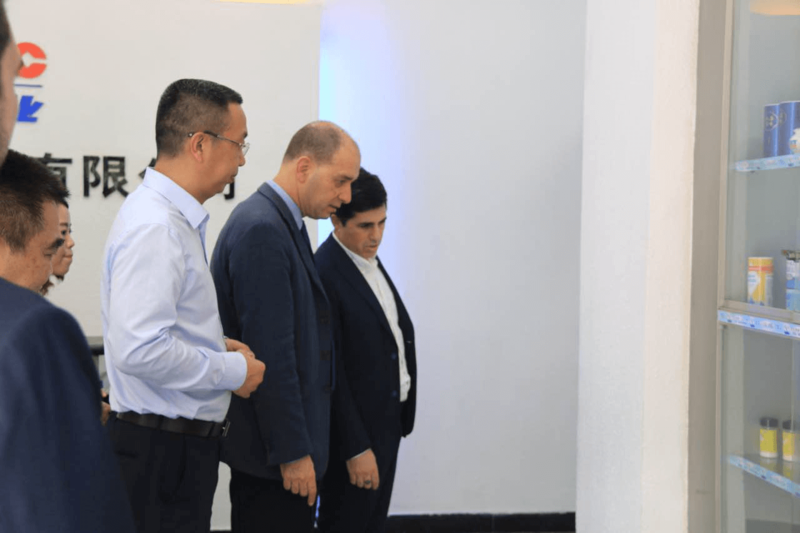 At the same time, Consulate General of Israel in Guangzhou and Israel Commerce Union will do their best to pinpoint mature technology and resources in the Israeli market upon the Group’s requirement. Ms. Toel Dahan, the Chief Development Officer of Israel Commerce Union said that the prospect of strategic cooperation between the two sides is quite expected. 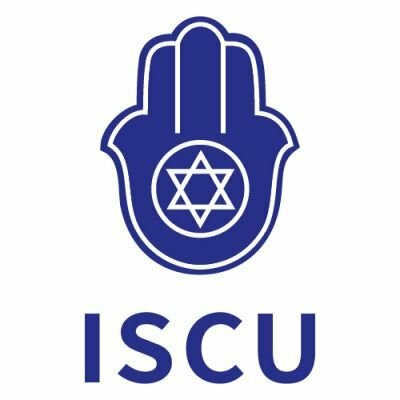 As a resource matching platform, Israel Commerce Union will give full play to its advantages and actively promote the salt production cooperation. 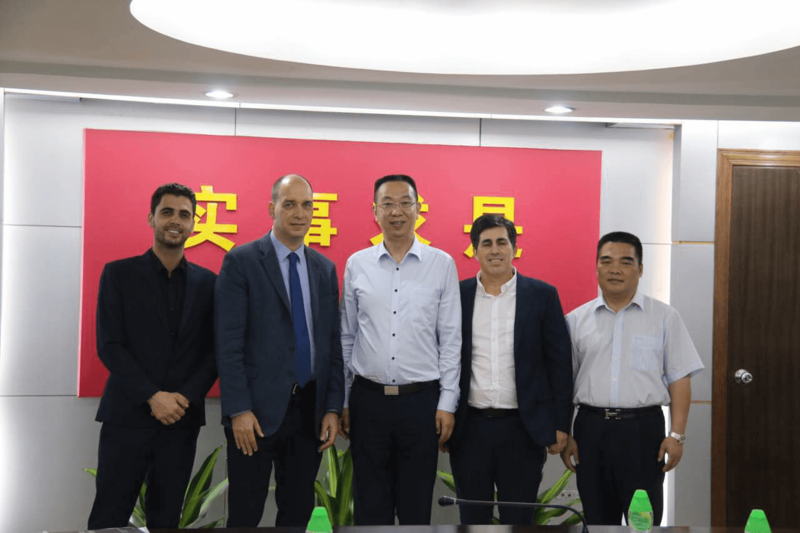 Mr. Binyamin, CEO of Israel Commerce Union, said that the leading team of the Guangdong Salting Group is highly effective, just as the conduct code of Jewish people. He believes that with the efficient and pragmatic style of the two sides, it will be smoothly to push forward the progress of the project smoothly. After the meeting, the two sides expressed their expectation on the bright future and agreed to speed up bilateral cooperation.